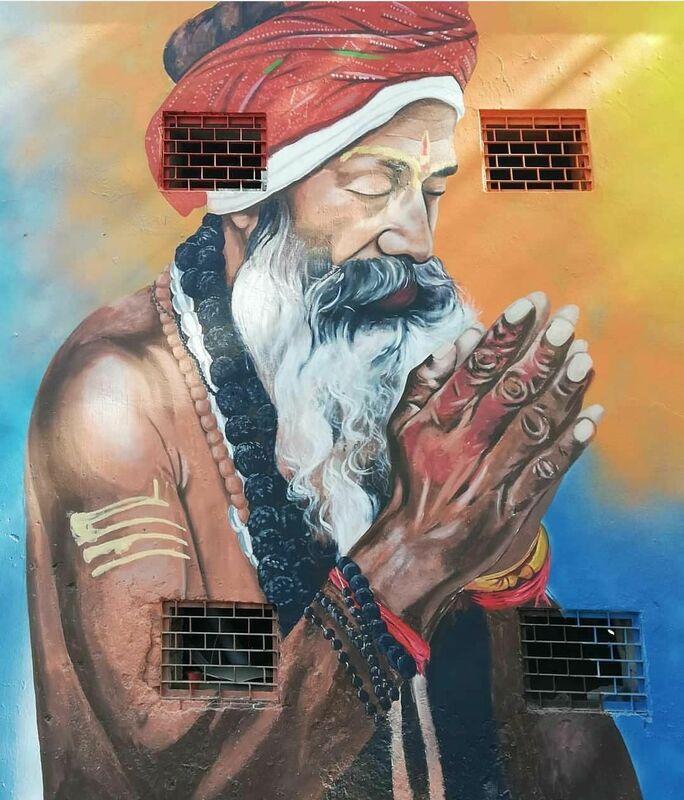 Wall Art - Kumbh2019. The whole city has been turned into a story book. Picture depicting the rich culture of Bharat. Rishi - Prasing the god for supreme knowledge so as to attain the level beyond this mundane world.